Guitarist, composer and producer, John Seath-Smith, has died following a battle with brain cancer. 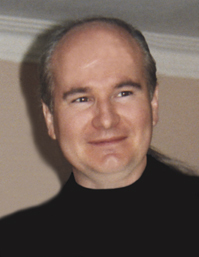 John Stewart Seath-Smith, composer of Canada's pop-culture Body Break music theme, passed away July 12th, 2008 in Toronto. His wife and music collaborator, Irene Seath-Smith, was by his side. John began playing guitar at an early age, performing and touring with Abernathy Shagnaster, The Innocence and Justin Paige - continuing his musical career composing pop, rock, jazz and classical music. In 1988, he developed the musical format and composed, performed and produced the music for "Body Break". In 1992, John collaborated with his wife to compose additional themes and incorporate vocals into Body Break. These various music themes continue being aired across Canada to this date. Earlier this year, Seath-Smith underwent surgery to remove tumours from his brain. Radiation treatment and chemotherapy failed to stop the spread of the disease. Remembered by musicians and friends for his love of arranging music and his pursuit of interesting guitar and keyboard voicings, Seath-Smith was a generous musician and philanthropist whose devotion and loyalty to friends and family will always be remembered. He is survived by his wife, Irene. �2008 Seath-Smith Productions - Irene Seath-Smith. All Rights Reserved.